as easily as changing magazines. 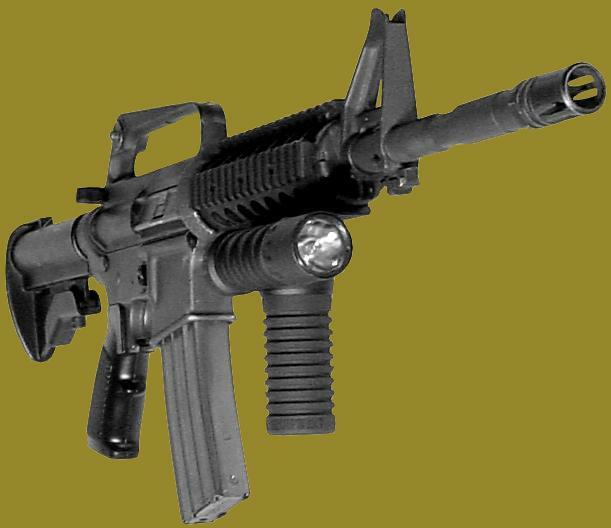 Any weapon having a Picatinny Rail (MIL-STD-1913) certified by the manufacturer for use with a 40mm grenade launcher can attach the M203PI "Universal" Launcher, without the use of tools. In RM® Equipment's Snap-On-Launcher-System (SOLA) version, the Interbar itself snaps on and off the rifle. 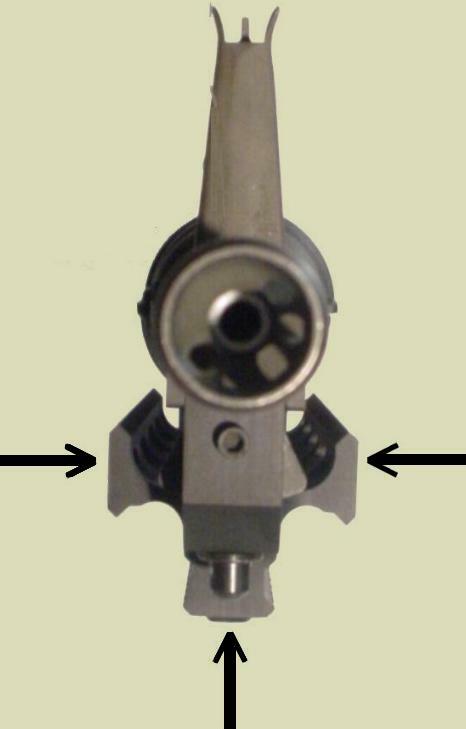 The M203PI EGLM can be detached from the Interbar to be used on other rifle Interbars or with the Tactical Mount (see below). RM® Equipment's M203PI Tactical EGLM Mounting System augments the "EGLM" concept by providing a "stand-alone" platform for the grenade launcher. This compact, lightweight M203PI mount has a telescoping and folding stock assembly providing complete tactical flexibility. RM RAIL MOUNT M203PI "UNIVERSAL"
Allows for use of different sighting systems. RM® Equipment has developed the M203 forward hand grip. M203PI, M203, M203A1 40mm Grenade Launchers. Click on the following photos for more information. To see highlights and applications for the M203grip, click. To see the M203grip manufacturing specs, click. 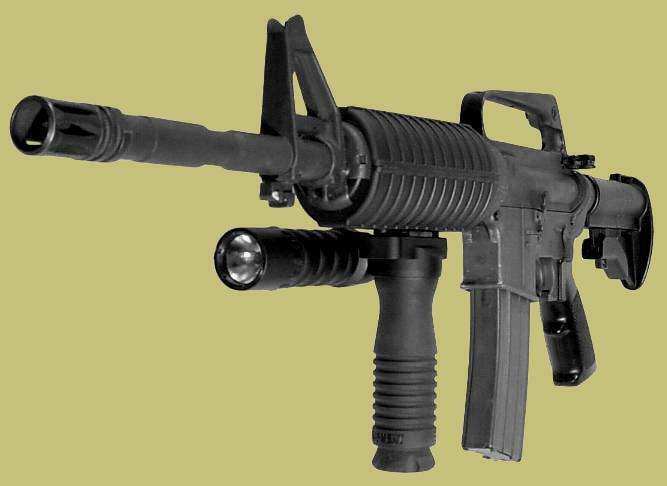 To see report on the M203grip in combat, click. The RailGrip attaches to any MIL-SPEC 1913 (Picatinny style) rail. Locking ratchet system clamps down anywhere onto the rail rib. you need the RM® FastRail. in combat since May 2004. RM® and the "Bang" are Registered Trade Marks and may not be used without written permission from RM Equipment, Inc. RM's product improvement process is continuous, so current versions may vary from those shown on this website. © 2011 RM® Equipment, Inc.